Content Marketing is critical to lead & opportunity generation. Content marketing now generates 3x more leads than traditional marketing. Today, marketers know that they must become publishers and create great, quality content. Team: It is important to have at least one key person lead and manage all the content marketing needed. However, build your team out from there. Your team of content marketers could include a managing editor and other internal contributors, such as content creators and social media specialists. Make sure to also reach out to subject experts and external contributors to be content marketers. Engage with big influencers who have a lot of followers on the web. Perhaps contact a SEO expert. Lastly, reach out to internal customers, such as sales, demand generation groups and other employees. Production: Check with your customers before going too far down the road. Produce and develop ideas, but get feedback and endorsements from customers. Produce E-books, whitepapers, webinars, blog posts, videos, infographics. Then promote. Generate leads from people submitting forms. Draft, edit, design and repurpose until you are happy with your content creation. Influencers – Reach out and build relationships with key influencers who already have a large audience base and many visitors to their website. SEO –Develop strategies to target keywords. Make sure your content is well optimized. Paid Media – Consider paid advertising to point to content. Have an ad point to an E-book or some other type of informative or helpful content. An ad that points to content vs. sales can be very engaging. Syndication –Go to media outlets and guest post, provide content that is valuable to that outlet and send valuable content to the right people. Conversion: Circulation is key to conversions. Make sure to have a strong Call to Action (CTA) to keep your prospects moving. With each step, build more trust for your brand until they eventually convert. Track conversions through the entire funnel. Analysis: Analyze your content operation. Have an analytical framework in place to know what is working and what is not working. Decide what systems to keep in place and which ones to improve. Great content will generate leads, drive conversions, nurture leads, move prospects through the purchase funnel, and position you as the thought leader in your space. Social marketing needs quality content to build trust, lend credibility and engage fans and followers. 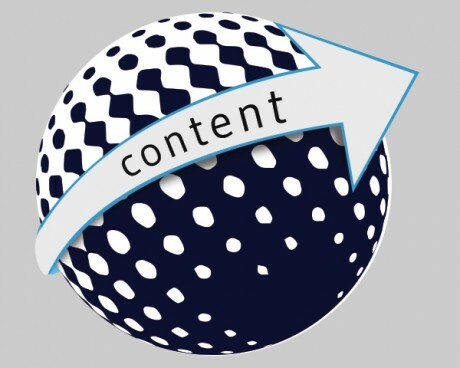 And relevant content is good for SEO because it leads to better rankings in search engines. In general, create content that is relevant and helpful. Create content that is educational and shareable and downloadable via E-books, webinars and white papers. Produce quality content that can entertain or inspire your audience, as well as make it engaging and interactive on social networks. As you can see, the ROI is many fold. Creating great content with the right strategy will generate new leads and sales for your company!